Captain Drew Card called in at 6:19 PM with an audio update from the Pacific Queen out of Fisherman’s Landing in San Diego, CA. We started the morning on the anchor fishing for Bluefin. We saw lots of fish but they were not biting. 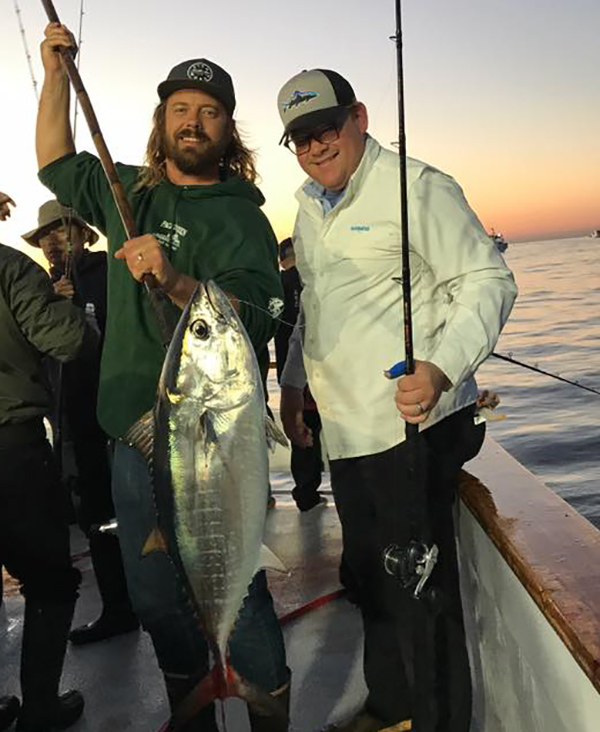 We ended up with one Bluefin Tuna. We pulled anchor and headed offshore for some kelp paddy fishing. We had very good Yellowtail ending up with 161 Yellowtail. We finished the day in another area with Bluefin Tuna. 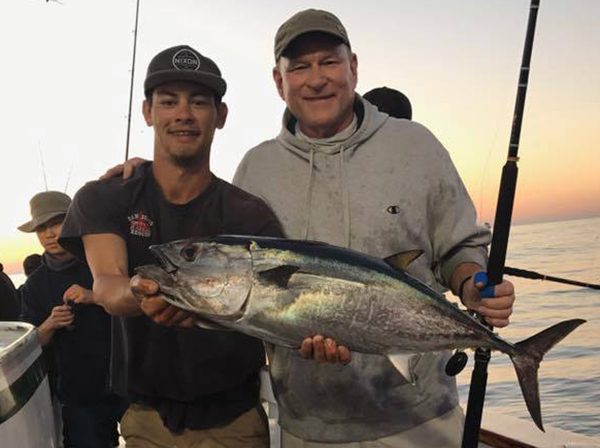 We chased them around and ended up with another one Bluefin Tuna for our efforts. We have trips scheduled come out fishing with us!